All kinds of team championships played major role in the history of chess in the Soviet Union. Due to specific ideology supported by communist regime both mass and team competitions were actually most important part of chess life behind the Iron Curtain. The system of team competition was quite complitated and not very consistent throughout the years. It looked little like contemporary club-based system seen in Western Europe. Its core were the so called Voluntary Sport Societies (See Wikipedia article) (VSS, Russian: ДСО - Добровольные спортивные общества). There were a few all-Soviet VSS's (Burevestnik, Lokomotiv, Spartak, etc..) and each Soviet republic had two own VSS's, one for industrial sector, and one for rural sector. Usually all-Soviet VSS's had their representations in many/all Soviet republics. Each Soviet republic had its own "national" team, and Russian SFSR was split between cities of Moscow, Leningrad and the rest. There were also powerful trade union centrals in the Soviet Union (VTsSPS, ВЦСПС - Всесоюзный центральный совет профессиональных союзов), most of them had their teams too. One and the same player could well represent both one of trade union/VSS teams and selected republic's team. It has to be stressed that team championships had highest possible priority to the authorities, so all of Soviet top players were obliged to participate, unless they were involved in some extremely important individual matches. This is why all World champions and other super GMs were frequently seen in the Soviet team championships, strongest of them being very prestiguous events and widely reported in the Soviet press. 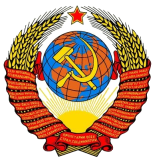 Soviet Team Championship (командное первенство СССР), open for 15 Soviet republics (sixteen until 1956 when Karelo-Finnish SSR was dissolved), Moscow and Leningrad. Team of Russian SFSR did not include players from the two major cities. The Championship was on many occasions part of all-Soviet Spartakiads and in 1972 it was part of Soviet Olympiad, the event was part of celebration of 50th anniversary of USSR. Soviet Team Cup (кубок СССР), prior to 1974 was officially referred to as Soviet Team Championship too, but was open for VSS teams (ДСО) commands, like Spartak, Trud, Burevestnik, Dinamo, Avangard, Daugava and others. In 1952 and 1954 some trade union teams participated as well (Iskra, Nauka, Medik). Republic and city teams could not participate. Usually played every two years. Soviet Club Cup (чемпионат СССР среди клубов) - in late 1980's the VSS's were abolished and the system was transformed into modern-style club championship. Only two editions took place due to collapse of USSR in 1991. See table below for actuall asssignment of Soviet Team Championship year by year. There was a number of other interesting team competitions too. One of most interesting was annual Soviet Junior Team Championship for republics, where many future GMs took part. Each Soviet republic had its own individual and team (irregular) championships as well; but there is very little information about it and dillegent search is yet to be done in old Soviet archival newspapers. Cities, regions, VSS's or event universities and factories were usually taking place in these championships. Some VSS's (like Dinamo, Spartak, Burevestnik) had their own all-Soviet team championships too, so technically speaking it could be possible, for example, that 'Burevestnik' would be champions of Russian SFSR, and Russian SFSR would be champions of VSS 'Burevestnik'. Least but not last, there were thousands of minor team championships, e.g. for juniors, schools, universities, industrial factories and many more, but these were rarely near master level. The 'Other Championship' section reveals what we have gathered so far, but a lot more is yet to be found.